Working alongside many of the National house builders, such as Taylor Wimpey, Bellway and Berkeley Homes we take on projects ranging from small exclusive developments to plot by plot for 500 units plus. With our accreditations and most of our employees having CSCS cards, we have the staff and equipment to undertake both small and large landscaping jobs. Working closely with site managers, we can project manage whole or part of the job depending on the client’s requirements, working to tight and sometimes almost impossible deadlines delivering excellent quality and finish. 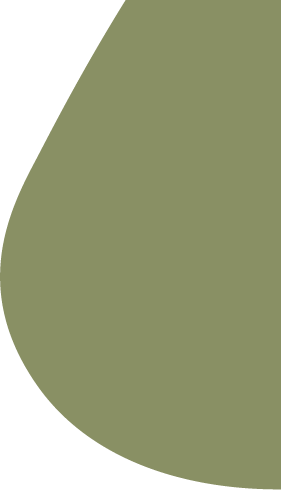 This together with our vegetation clearance teams and tree surgeons we are able to offer the complete package for developers. Smart, attractive grounds deliver a great first impression. No matter what time of year it is or what the weather’s been doing, our grounds maintenance services keep things visually impressive, tidy and under control – creating a pleasant environment for your staff, customers, guests … or simply the general public. 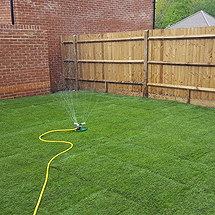 We provide professional grounds maintenance services to a range of clients in many industries and sectors, from business and retail parks to schools, hotels and more. Because no two clients are the same, our expert team will work with you to understand your grounds maintenance requirements. We’ll undertake a full survey, allowing us to craft a maintenance plan that takes into account the features and challenges of your particular environment. We’ll also make sure we have a clear understanding of your own preferences. What sort of impression do you want visitors to have when they first arrive? What do you like most and least about your grounds at the moment? 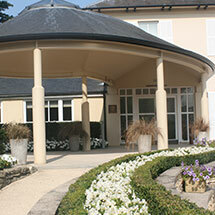 With a grounds maintenance plan in place, our expert, uniformed team will perform regular tasks as required. Working to a schedule that fits your requirements and offering flexibility where you need it, we’ll keep your grounds in tip-top condition – ensuring an environment you can really be proud of. Using a diverse variety of plants, shrubs and trees – and positioning them in a carefully-landscaped environment – makes an enormous difference to the look and feel of your surroundings. Working closely with landscape architects and designers, we can plan and implement a stunning combination of plants and features, creating a tapestry of colour and beauty that fits the setting. No matter whether it’s planting beautiful hedges, making an improvement to a small area or the landscaping of an entire business park, we deliver results that impress. Our experts have years of experience and the horticultural knowledge required to select strong combinations of plants, shrubs and trees. By carefully planning their positioning and use, we can craft an environment that provides seasonal bursts of drama and excitement, while remaining attractive from January to December. Local conditions play an enormous part in determining what types and varieties of plants will work best together. To ensure the long-term prospects of the work we do, our planting and design services are tailored to fit your requirements and environment. As well as being attractive, trees can vastly improve the quality of life and work for people nearby. They stand tall for decades – or longer – providing shade, cleaner air and essential wildlife habitats. If you are responsible for trees, it’s important to carefully consider how to manage and control them. This will ensure they remain safe, healthy and attractive, reducing their impact on structures and maximising the benefits for people nearby. Our expert tree surgeons have all the knowledge, qualifications and equipment to perform tree surgery safely, efficiently and effectively. Of those three, safety is our top priority. Before commencing any work we will perform a full risk assessment, taking into account the local surroundings and environmental factors. In order to minimise disruption and maximise safety, our teams use modern equipment and machinery, including a mobile elevated platform wherever possible. 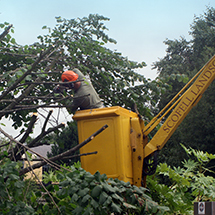 We can perform one-off tree works but usually recommend a programme of regular inspections and surgery. This is the best way to maintain tree health and minimise the likelihood of future issues. High-quality playing surfaces make for high-quality games and matches. Our sports pitch maintenance services keep your pitches in first class condition, even during busy periods. We provide a professional, tailored service, to fit in with your match schedules. 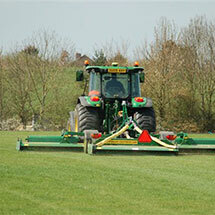 For instance, we can ensure pitches are cut and marked before games and training sessions take place. 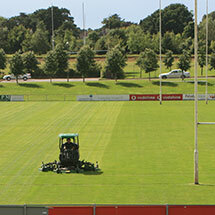 During the growing season, our uniformed staff will utilise the most appropriate equipment and machinery to perform regular maintenance on your sports pitches. We’ll take the time to get to know the setting and environment of your sports pitches, plus how often they get used, in order to deliver maintenance in the most optimum way. A big part of our sports pitch maintenance services is ensuring lines are marked clearly and accurately. We use a laser system to mark perfect straight lines, right angles, rectangles and squares on grass pitches, hard areas and all-weather surfaces. Again, our line marking services are flexible. We’ll happily handle all your line marking requirements, but if you’d prefer us to simply provide initial marking for your groundsmen to follow then that’s no problem. To create an extra impact, we can even create art on your sports pitches. Deploying coloured paint and stencils enables us to paint your logos or emblems on your pitch. Perhaps it’ll give your team the edge. Weeds can be ugly, disruptive, and damaging, causing real harm to your landscaped grounds. Over time, they can also cause costly damage to hard surfaces such as paths and driveways. Staying on top of the problem can require significant, ongoing efforts. Our weed control services combat pervasive and invasive weeds of all types. We apply the latest tools, technologies and techniques in a way that’s tailored to suit your environment, whether that be a business park, sports field or some other surroundings. 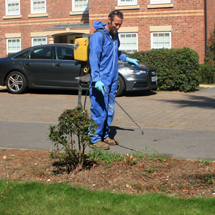 Our one-off weed control service is a good way to clear troublesome areas or eliminate long-standing problems. However, our ongoing weed control services are the best way to eliminate weeds initially and then ensure further issues are addressed swiftly. Before implementing any weed control measures, we’ll perform a full survey. This makes sure we understand what issues we’re facing and what work is required. We can then tailor a weed control programme to fit your specific circumstances. Once we’ve identified the best weed control measures for your grounds, we apply them carefully and responsibly. We take the greatest care when eradicating weeds and comply with all relevant legislation. With expert qualifications and many years of experience, we have a deep understanding of the unique issues and challenges involved when managing a countryside environment. 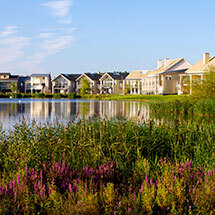 Our professional team is ready to help with any countryside services you require. From paddock maintenance and verge clearance to meadow management, we can offer tailored services and advice. We own and operate all the machinery and equipment required to provide a full range of countryside services, which means we’re able and willing to get stuck in – no matter what the job at hand requires. However, the first step is for us to understand exactly what you require. That goes beyond a simple list of countryside services: we aim to appreciate the particular characteristics and nuances of your land. Only then can we provide the appropriate services that will safeguard and improve the environment for which you are responsible. Most of our countryside work involves our modern tractors, on turf or agricultural tyres to suit the conditions at hand. However, with such a vast range of expertise and equipment at hand, we’re ready to provide any countryside services you require. Because snow and ice are hard to anticipate, trying to deal with them in-house can be frustrating. If you decide to err on the side of caution then you can end up spending time and money on unnecessary precautions. But if you don’t take action when you should, the consequences can be severe. Our winter services relieve you of this burden, by placing us in control of your cold weather preparations. We track and monitor expected ground temperatures across the south and east of the UK. If it appears temperatures are approaching levels at which frost and ice will appear, our cold weather response teams are deployed to affected clients. We’ll carry out gritting, de-icing and any other winter services previously agreed with you. In most cases we do this overnight, to maximise protection and ensure you’re able to continue normal operations the following morning. Because we rely on accurate ground temperature measurements, our winter services are only triggered when there’s a high likelihood that you actually need them. This controls your costs by reducing unnecessary winter work, and means you don’t have to worry about maintaining staff on standby ‘just in case’. We’ll have it covered.